Scale in Californian Eco-Art – Sugar vs the Reef ? 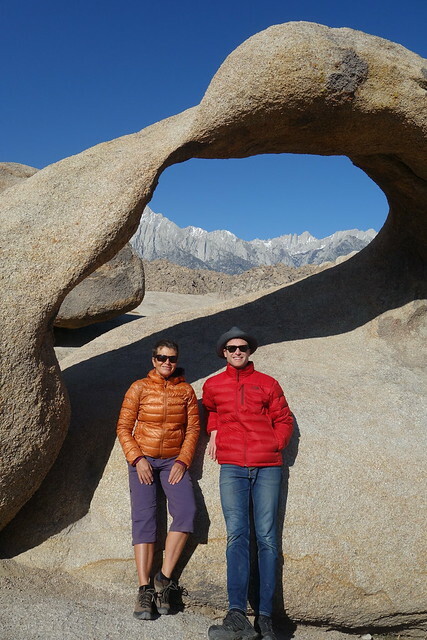 Lucas and I travelled to California and Nevada in April 2018 to have a look at what others are doing in the field of socially engaged art practice. It took many weeks to line up various people and venues to visit, but eventually we were able to map out a schedule. Our road trip took us in a roughly clockwise direction. We began in the San Francisco area, zigzagging back and forth from Berkeley to Stanford and Santa Cruz, then north to the Mendocino coast and east to Reno, Nevada. 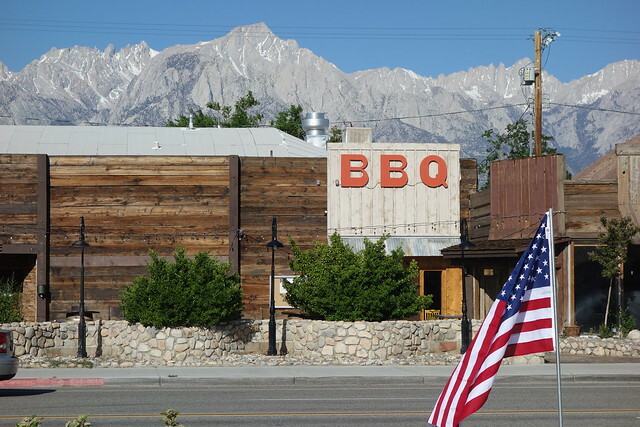 From Reno we travelled south along the stunning high altitude desert mountains of the eastern Sierra Nevada. At the southern end of the Sierra Nevada we headed back west over to Santa Barbara in California, finishing our journey in Los Angeles. This trip gave us the opportunity to meet with artists and academics and to visit institutions large and small. It was a chance to learn some strategies, talk about our own projects and to hear how people in another country go about their work in the broad field that is socially engaged art. One thing I came away with was the idea of scale. We spent two days in the Stanford University archives, poring over some of the thousands of documents donated by Helen and Newton Harrison to the library. We then met Newton Harrison (Helen sadly passed away in March this year) and later on visited Lauren Bon’s Metabolic Studio in Los Angeles. What we saw through the projects of the Harrisons and Lauren Bon was artists working on a grand scale, taking up their place as significant agents in social and environmental projects, participating as problem-solvers, proposing scenarios, posing questions and offering sometimes unusual solutions. We visited Newton Harrison at his Santa Cruz home. Despite his advancing years, he is still busily working on projects for The Harrison Studio, one of which is the Sagehen Project. This work was originally located at Sagehen, in the Sierra Nevada near the California/Nevada border. Sagehen is a long-term project which sets up experimental situations to determine how indigenous plant communities fare in different climate change scenarios. 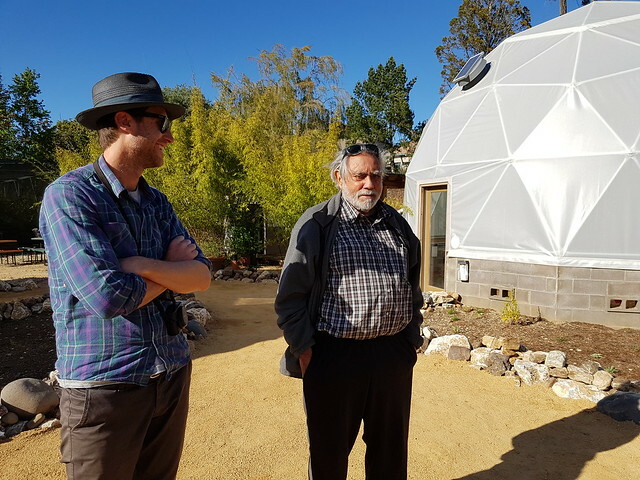 They found that the site was too vulnerable to extreme weather events and damage; when we visited Newton, he was in the midst of setting up a more controlled version of the experiment at the Santa Cruz Arboretum (see Lucas’s post: A Future Garden in Santa Cruz). Newton was given the use of three geodesic domes at the Arboretum. With some renovation and retrofitting, he and his team have created three different controlled environments with which to gauge the effects of different climate scenarios on plant communities over a fifty-year period. Imagine being given that kind of commitment, to run an experiment over half a century! Over five decades, the Harrisons have worked all over the world by invitation from governments, councils, organisations and individuals. Their work is based on the guiding principle that anything they do should be of ecological benefit. We discussed Sugar vs the Reef? with Newton. His advice was to ask ourselves “how big is here?” Scale is a key idea for the Harrisons. By asking this question, you determine whether what you are doing has wider implications and whether the scope of the project is appropriate. Newton suggested that we conduct an audit of coral reefs all over the world to assess the global condition of reefs. By presenting that evidence to the public, it elicits indignation in people and propels them to do something about it. In theory, this would be a good thing to do, but presently it is beyond our scope. The broad adoption of regenerative agriculture practices along the Great Barrier Reef coastline feels like a big enough ambition to me. I was quite relieved when Newton tempered his views by saying that it’s ok to work on a small scale too – he pointed out that he and Helen once worked on a much smaller scale until their reputation grew and they were invited to look at larger problems. Newton suggested we visit Lauren Bon’s Metabolic Studio in Los Angeles. Lauren Bon is an artist and a philanthropist. She has a vast studio that employs over 40 staff with various areas of expertise. The scale of the studio itself was unlike anything I had seen in Australia and spoke of the resources at her disposal. They are currently in the midst of a project called Bending the River Back into the City. 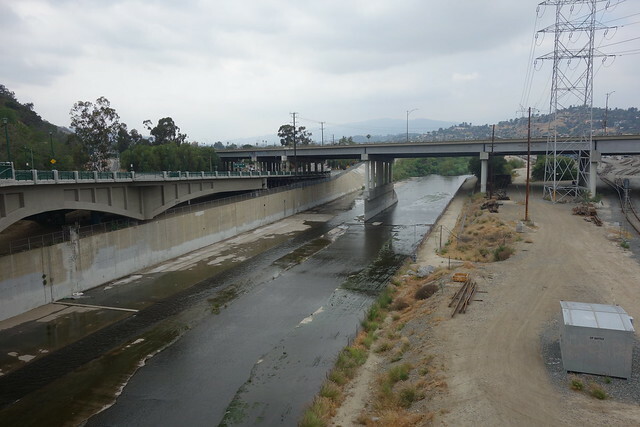 We begin the process of diverting water from the LA River through a wetland and cleaning facility and into Metabolic Studio on North Spring Street. Once the water meets regulatory requirements for cleanliness, it will be distributed through subterranean irrigation to Los Angeles State Historic Park and the future Albion River Park. Bending the River Back Into the City culminates my twelve years committed to reconnecting us with the LA River and sustaining living systems. An enormous amount of research, design, and engineering is involved, as well as years of advocacy and negotiations with local government. It’s a complex and very expensive project, which could only be achieved by the philanthropic resources available to Metabolic Studio. 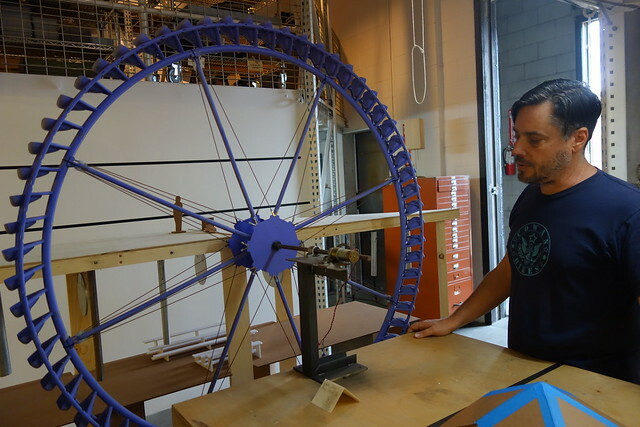 Imagine designing and building a giant waterwheel to take water from the river to a purification system. It’s an engineering as well as an aesthetic strategy. Imagine employing forty people on an ongoing basis to focus their energies on a project and make it happen. It’s a reminder that what we can do in Australia is shaped by funding structures and a general lack of philanthropic interest in the kind of work we are doing. We scale the work to the funding. The work we are doing in Mackay is determinedly local in that our energy is focused on a particular region. However, the work is transmissible to other regions through word-of-mouth, traditional and online media, dialogue and advocacy, and through academic channels. This is how we are working with scale. It’s may not be at the scale of the Harrison or Metabolic studios, but it’s what we’ve got.